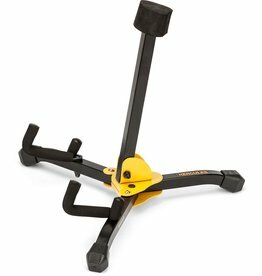 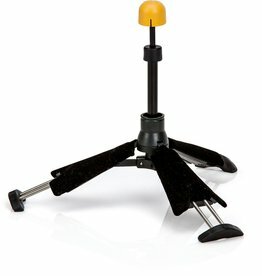 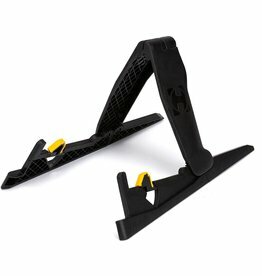 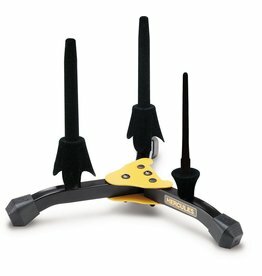 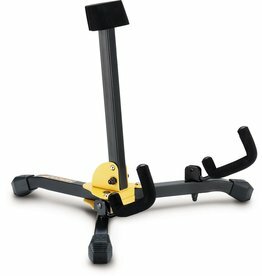 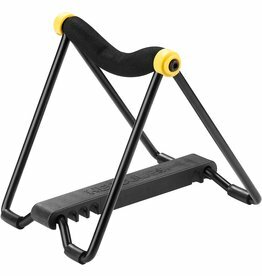 features the Specially Formulated Foam coated yokes and backrest which protect the instrument at all contact points. 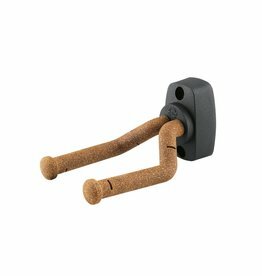 Features a velvet telescopic peg; it accommodates Flutes and both French and German Clarinets safely and securely. 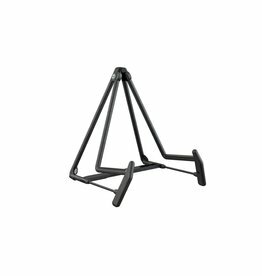 Sturdy, lightweight and folds compactly for storage inside the bell; velvet pads protect the bell of the instrument. 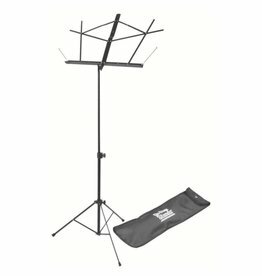 A one piece design folds and stores easily and conveniently inside the flute. 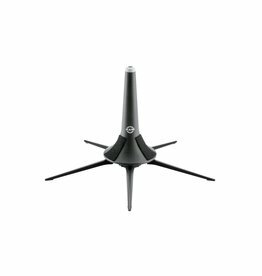 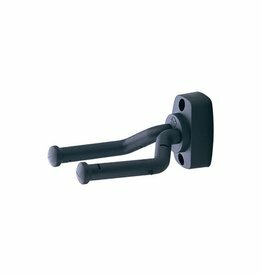 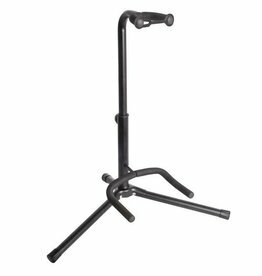 Features a velvet instrument peg and solid swivel legs for maximum stability. 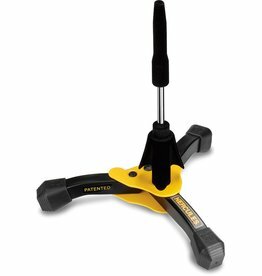 Instruments of different sizes can be placed in the 4 adjustable positions. 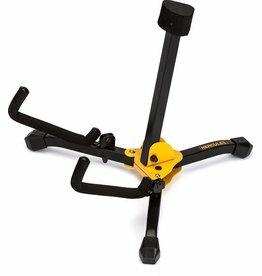 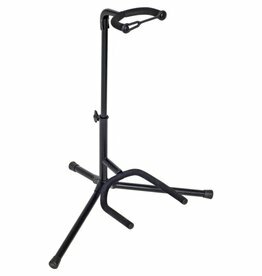 Worldwide proven guitar stand. 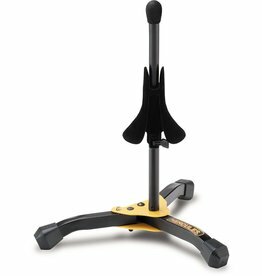 The instrument is particularly well cared for thanks to the elaborate new rubber structure. 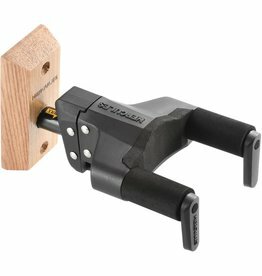 Features two Flute/Clarinet pegs, and one Piccolo peg. 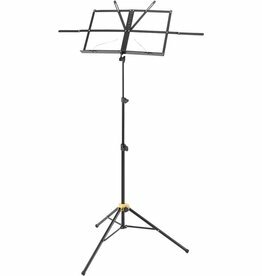 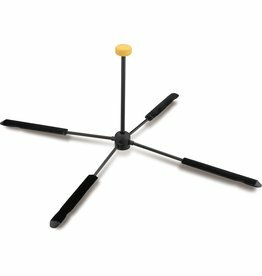 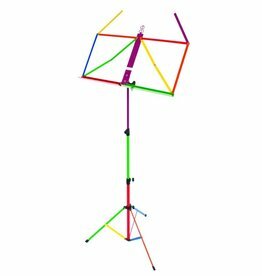 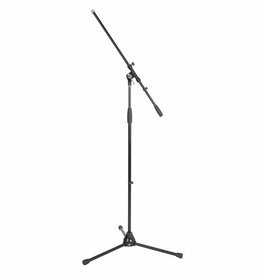 A lightweight, three-section music stand that is ideal for musicians whether they prefer sitting or standing. 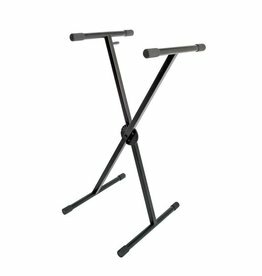 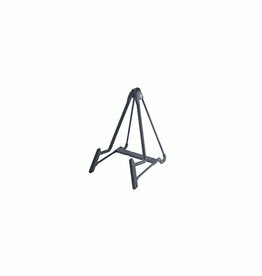 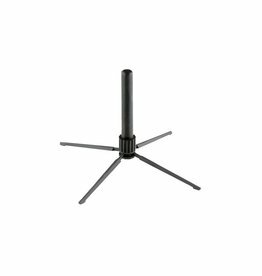 Black heavy duty square tube single braced ‘X’ style keyboard stand.